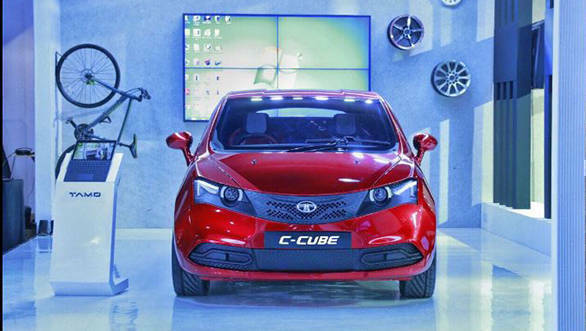 Tata Motors had unveiled the C-Cube Concept car today at the 2017 Future Decoded, an event organised by Microsoft. It was showcased as a part of the product transformation theme at the event. According to Tata Motors, this concept car showcases the brand's "advanced structural technology" which will be present in its future TAMO cars. However, Tata hasn't revealed any specific details about this two-door hatchback. Tata recently announced its strategic collaboration with Microsoft India to develop connected vehicle systems using Azure cloud computing technology. The first vehicle from TAMO which will showcase these innovations will be unveiled at the 2017 Geneva Motor Show on March 7. 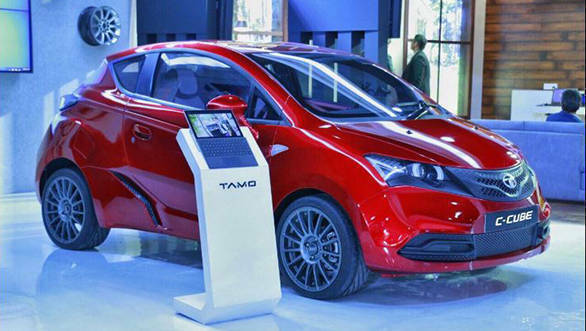 All vehicles that are not your run-of-the-mill models will be placed under the TAMO sub-brand. Apart from sportscars and premium vehicles, the brand will also feature vehicles with alternative propulsion methods like hybrids, EVS and maybe even fuel cell units. The brand aims to improve a customer's driving experience using technology like artificial intelligence and the Internet of Things (IoT). IoT refers to the interconnection of various like things like the car, mobile phones and computers via the internet. This technology will offer customers features like predictive maintenance, remote monitoring and vehicle-centric services.